Altruvistas is a socially responsible travel company that provides ethical, educational and philanthropic travel-planning services. We aim to inspire travelers to engage their passion, explore the issues they care about, share with communities around the world, and build dynamic philanthropic relationships. Our goal is to provide travelers with ethical, comprehensive, educational and philanthropic travel-planning services so that they can have the adventure of a lifetime: a culturally insightful, engaging, comfortable, and worry-free journey that synergistically benefits the local economy, your hosts, important causes— and even highlights the good work you are doing in the world! Our Custom Journeys program creates privately branded trips for our partners utilizing the pillars of experiential education, philanthropy and social responsibility. Our professional Fellowship program matches community grantees with emerging or service-seeking tourism professionals to implement community development programs, support the capacity building of the community and bridge cultural norms. Our Meso-financing program’s mission is to provide communities the financial tools they need to improve their lives and benefit from the tourism sector. Altruvistas offers our services and professional expertise to individuals as well as foundations, organizations, membership associations, educational institutions, businesses, travel agencies and “VIPs” with the desire to create their own incomparable brand of ethical travel worldwide. Altruvista Journeys provide a natural interlocutor between the desires of the global traveler and the socio-economic needs of some of the world’s most remote, heritage-rich communities, natural and cultural sites. Share your ideas, learning or donor goals with us and together we will craft an immersion journey for you. Let us take care of the logistics and customer service while you relax with the confidence that you are offering a one-of-a-kind, privately branded tour solely for your members who will never be solicited. Tourism as an industry has evolved into a global phenomenon. It is one of the most important social activities and economic sectors in the international political economy. According to the UNWTO (United Nation’s World Tourism Organization), currently the industry accounts for 5% of the global GDP, 1 in 12 jobs, and is a major export sector. Sustained growth is predicted over the next two decades, “International tourist arrivals are set to increase by and average of 43 million a year between 2010 and 2013. At the projected pace of growth, we will surpass the 1 billion mark by 2012, up from 940 million in 2010. By 2030, the number is anticipated to reach 1.8 billion” (Towards Tourism 2030, UNWTO). Clearly the economic indicators show that tourism is a growing and vibrant sector of the economy. This is an incredible opportunity for communities and nations around the world to take leadership to invest in tourism products that address the UN Millennium Development Goals (particularly poverty alleviation, gender equity, etc. )’ create socioeconomic growth, promote social progress and environmental sustainability. The boom of the tourism industry is simplistically valued as a positive trend. However, when we analyze conventional travel receipts we clearly deduct that there are major inequities in the current system. The biggest global problem from a sustainable and socially responsible lens of the conventional travel industry is leakage and this is the issue that Altruvistas is intentionally addressing. 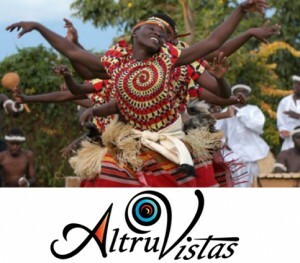 The unique contribution of Altruvistas is that we will educate individuals and businesses in the travel industry to learn about social responsibility in the sector, highlight the lost opportunity of leakage, and provide concrete ways for the international community of travelers to give back and support local initiatives for local communities and organizations to create their own travel related service or produce. Altruvistas Foundation will ensure that meso -financing benefits communities to benefit from future tourism receipts. While our Altruvistas Journeys ensure that at least 50% of every dollar stay to benefit the local economy in addition to providing donations to our partnering NGOs in the host community, and to the collaborating NGO or Foundation.